The new Jason Armstrong Beck Exhibition at the Judith Charles Gallery which opened with a reception on October 18th at 6 p.m. runs until November 17th on the lower floor of the gallery. I think the space chosen to display the exhibition is perfectly suited with the theme. Once you reach the bottom of the stairs there is a red curtain at the entrance. Having your way blocked, one immediately feels a sense of worry and excitement as to where they are going to enter. 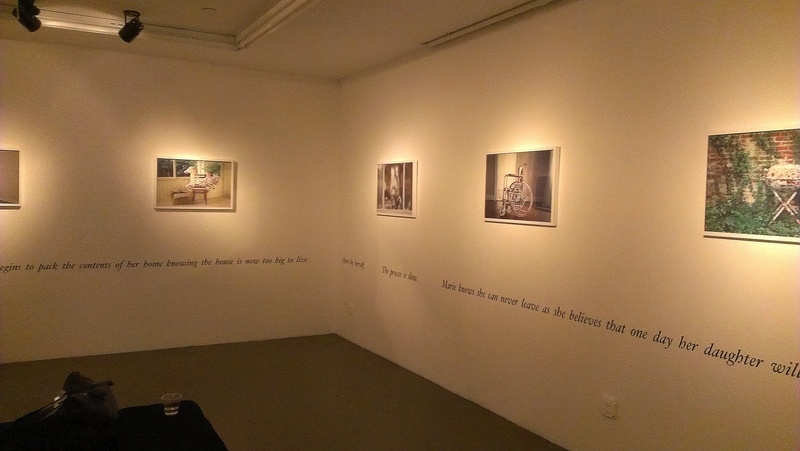 The smaller space of the gallery, the dim lighting, and the poetry and photographs on the wall all create an ambiance of intimacy. were washed away with autumn’s rain. survived until the first snow. 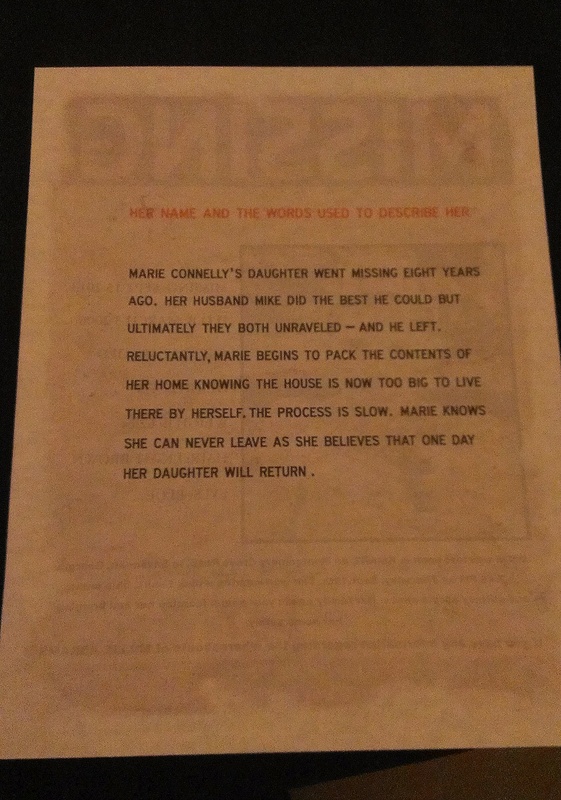 Marie Connelly’s daughter went missing eight years ago, her husband Mike did the best he could but ultimately they both unraveled- and he left. 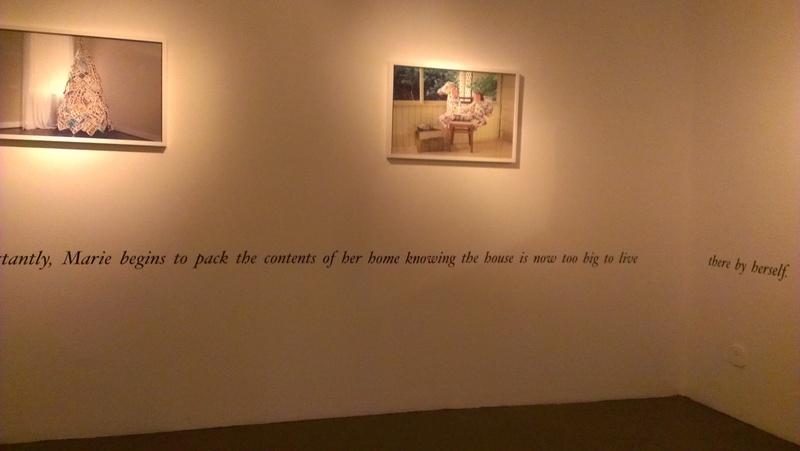 Reluctantly, Marie begins to pack the contents of her home knowing the house is now too big to live there by herself. The process is slow. 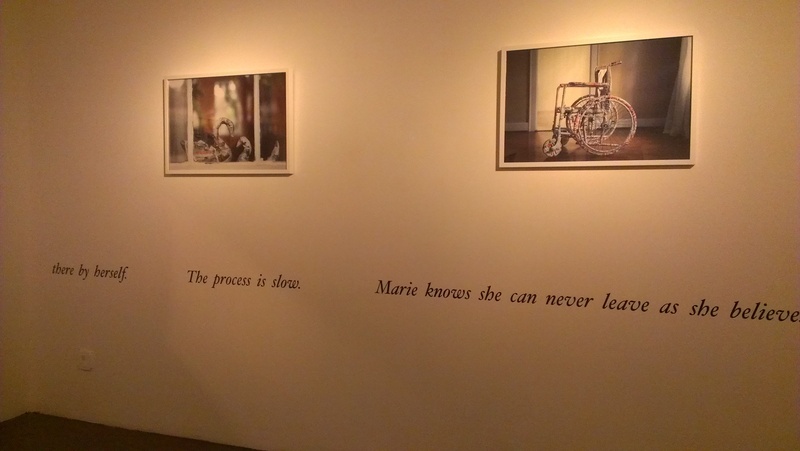 Marie knows she can never leave as she believes that one day her daughter will return. 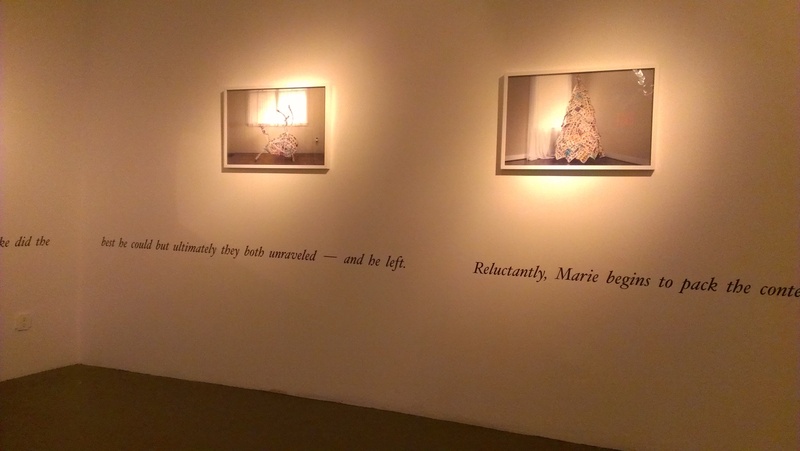 That same paragraph can be found at the entrance of the exhibition printed on a piece of paper that has the backdrop of a faded missing person’s page. 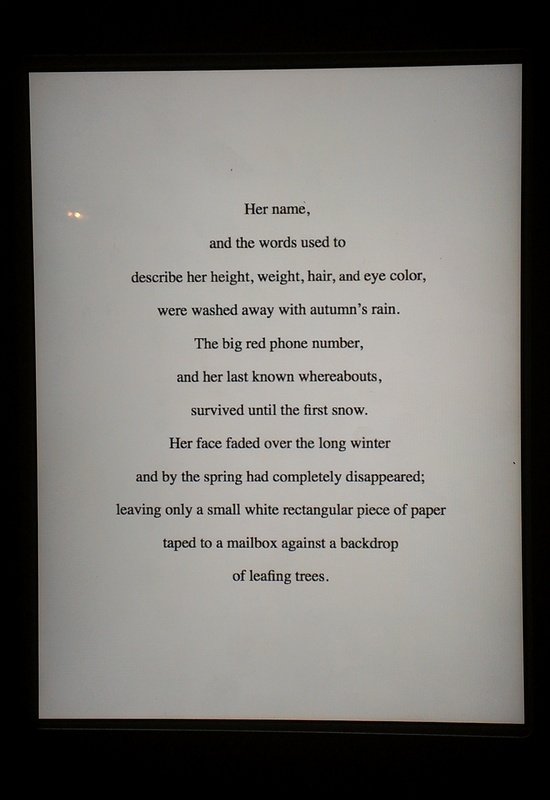 There is an obvious connection between the poem, which speaks of a missing child’s poster fading over the seasons and the paragraph about Marie’s missing daughter. 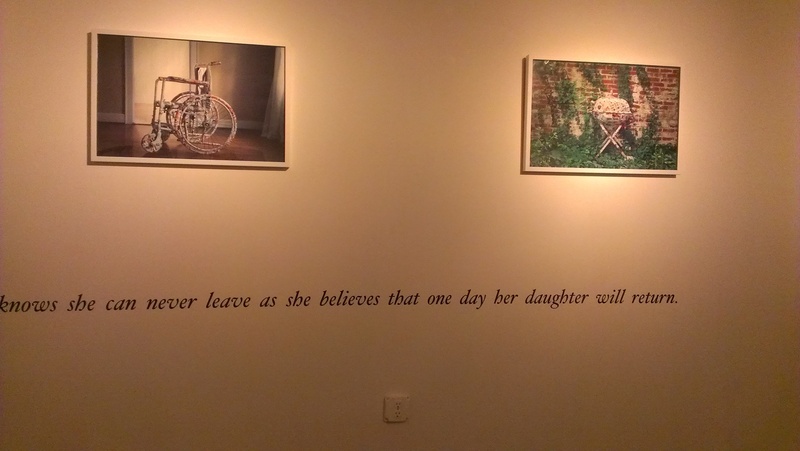 The photographs on the walls are of different items such as a wheelchair, children’s toys, and even an alarm clock wrapped in newspapers. The items look like they are about to be packed; however they still remain in their original places around the house rather than in boxes. It is as if the individual who has wrapped them does not want to leave. It is a half attempt at leaving. Though these items, which hold nostalgic memories, are ready to be packed and moved, we have an urge to leave them where they are; as if to cover the wounds of the past but not completely remove them. Moving on is a slow process, whether leaving a relationship, moving out of a house you grew up in, or letting go of a missing child. We never fully move on, we merely make attempts to remove ourselves from physical environments that remind us of unpleasant memories, our memories and emotions often attached to material items which are triggers. We all have that necklace or ring that might remind us of a grandparent or parent that has passed on, or the scent of a cologne of an ex-lover, or that makeshift tire swing on a tree that reminds us of childhood. 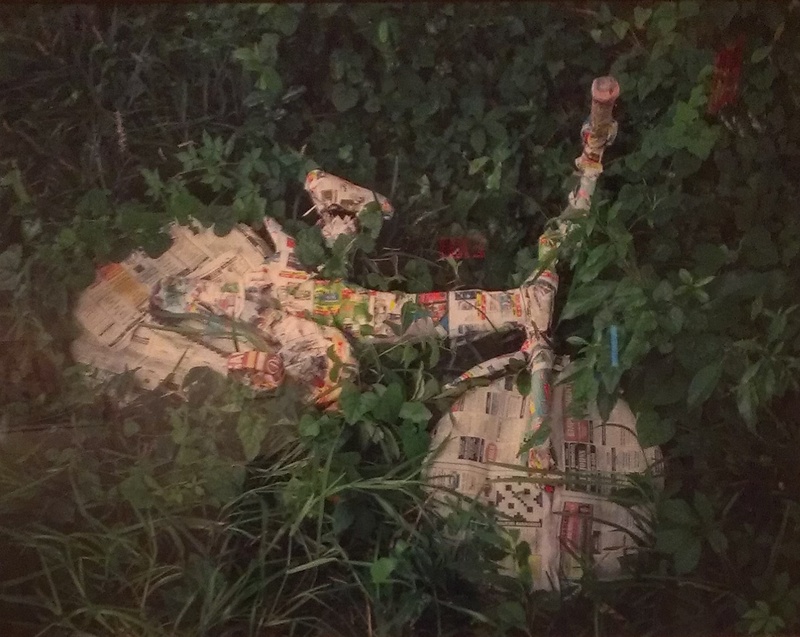 The photographs of the wrapped children’s items (the bicycle still in the grass, the toy horse still on the porch) are probably the more poignant images, directly connecting the poem and the missing child and in turn creating an immediate sense of sympathy, loneliness, and sadness in the viewer. Then we have the Christmas tree, reminding us of all the happy holidays that passed and all the holidays that are to come that will never be the same. 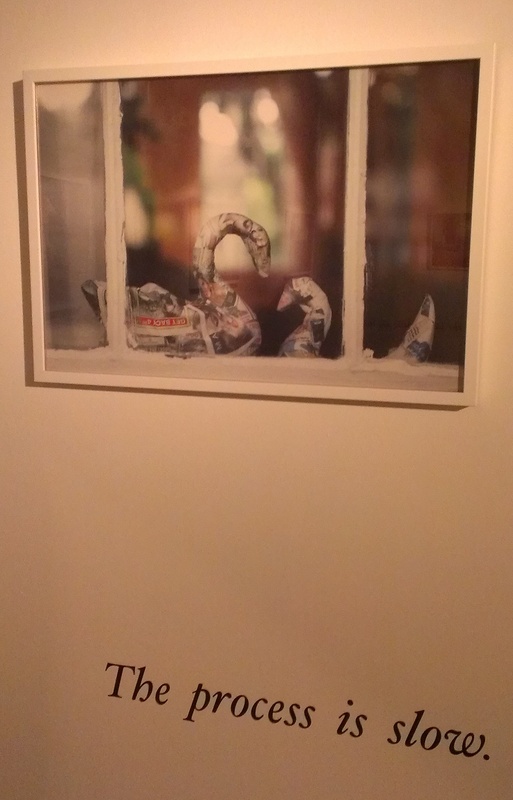 The photograph of the two swans, the larger reminiscent of a mother and the smaller of a child, reminding us of that maternal bond that does not want to let the child go. 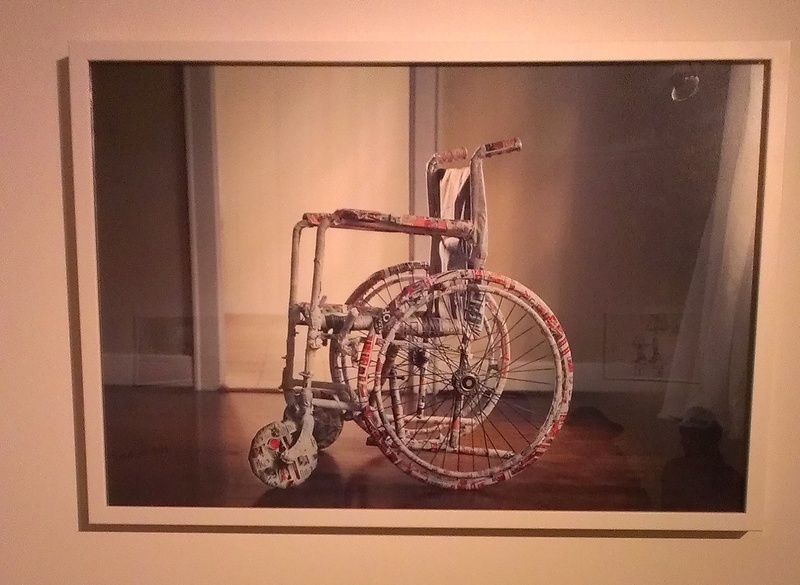 The wheelchair, a visual synonym for the crippling pain of missing a child. The clock, time that we’ll never get back. 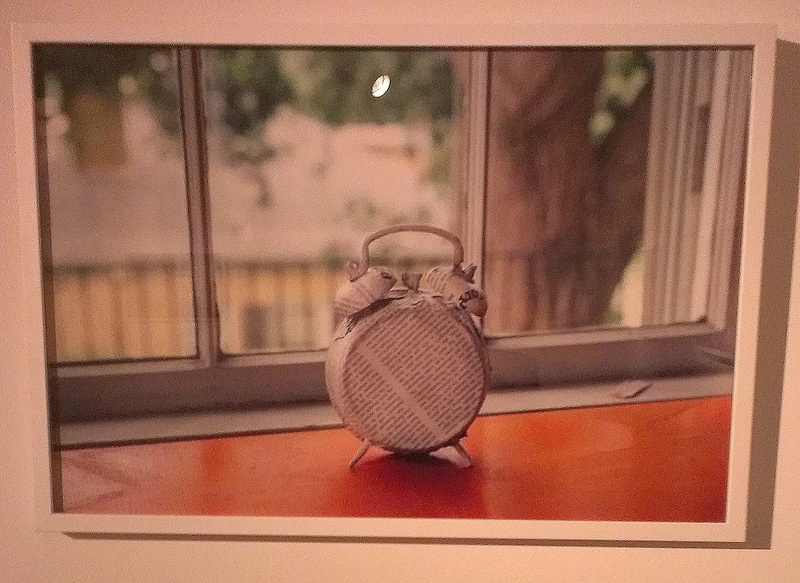 The photographs, poem, and story, are further tied together by a subtle recording that plays on a loop of noises one might hear in a suburban home, distant laughter of children playing, wind chimes, and the ticking of a clock. It is as if we the viewers are present in that empty house. The experience is not only visual but auditory, creating a complete environment. The series echoes loss but the sense of hope comes from the fact that the items are not yet packed, but rather are still scattered within and outside of the house. Though we know the ultimate reality of the child not returning, there is still that little piece of hope every person holds in the back of their head that things will change. I’m sure we have all heard the myth of Pandora’s box, when the last thing to fly out of the box was hope. Now, some believed that hope was to serve as the reprieve from all the evil that flew out into the world, as a shining light that things will get better no matter how horrible the situation. Other’s however came to believe that hope was the worst evil of them all because it served as a delusional prolonged reason for people to remain in misery and wait for something good to happen when it might never even occur. Hope was said to be a curse on humanity. The Polish proverb, “Hope is the mother of the stupid,” which has often been quoted by the writer Zbigniew Herbert and the quote, “Hope is the mother of all fools,” both reflect the self-deception of hope. In this series, hope is a major theme, whether we view it as a positive or negative thing. Either the parent stays in perpetual delusion hoping that the child might one day return, thus remaining in perpetual pain from wondering and not being able to move on; or hope becomes the one comfort the parent has from the terrible reality that their child is missing, and the option of their return, no matter how small, is still better than trying to forget them and move on. 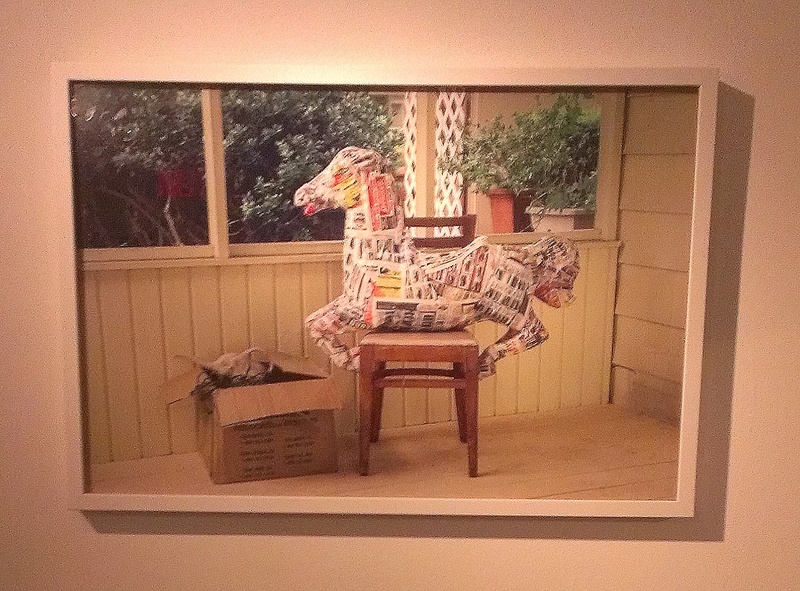 The exhibition is not only visually captivating but psychologically as well. There is a lot of analysis to be read both visually and theoretically. Personally, I have always loved when artist’s combine poetry or written excerpts with visual images because it allows the viewer to explore so many more possibilities and readings. We’re not only visual creatures, we are verbal creatures as well, we communicate through words as well as images, combining the two creates a natural synergy for the viewer. 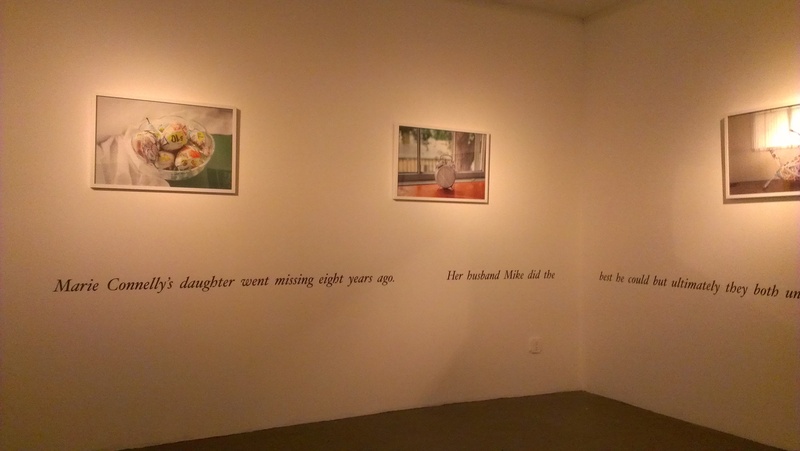 Tags: art, artist, auditory, children, gallery, her name and the words used to describe her, hope, jason armstrong beck, judith charles gallery, loss, missing child, newspaper, NY art scene, opening reception, photographs, photography, poetry, the journal of bison jack, ticking, visual, wind chimes, wrapping. Bookmark the permalink.